VT Maple Syrup 100% pure. Buy online best tasting syrup or at our store. 100% pure VT Maple Syrup made with wood-fired sugarhouse. 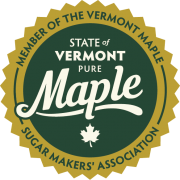 Buy the best tasting Vermont Maple Syrup online or at our farm store open 7 days a week. The Franklin Farm is a family farm in Guilford, Vermont. You can purchase our maple syrup, farm fresh eggs and certified organic hamburger, and stew meat at our Farm Store which is open seven days a week from 7am to 6pm. Or you can purchase our maple syrup by ordering online. Our farm store is stocked with sweet little gifts for everyone on your list! Melt-in-your-mouth Handmade Maple Sugar Candy, Maple Cream, and Maple Butter. Our own unprocessed, wood-fired Maple Syrup in Decorative glass bottles and plastic jugs. The freezer is full of Franklin Farm Certified organic ground beef and stew meat. And, we are thrilled to announce that our new flock of young chickens have started laying like crazy! Farm Fresh Eggs for all your Holiday baking! 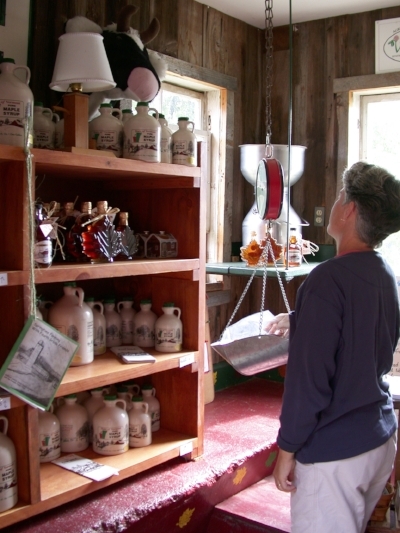 VT Maple Syrup for sale when you visit our farm store in Guilford, Vermont and in our ONLINE STORE. 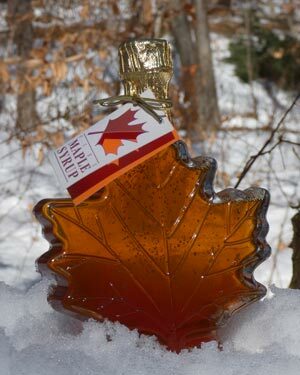 Maple syrup is a 100% pure all natural sweetener rich in vitamins, minerals, and antioxidants. Our most popular grade is Amber with Rich Flavor. You will be asked to request a Grade when adding items to your cart. To add another grade, select a different grade and click Add to Cart a second time. To add other jug sizes, visit the main store page. Back when David’s father Bill Franklin was growing up here in Guilford, pancakes were served every morning at breakfast. Most of the time with maple syrup, but also with left over gravy from supper the night before. They were wholesome and filled everybody up till dinner was served at noon. Here on the farm we still eat them two or three times a week instead of boxed cereal. Read more: See whole grain pancake recipe.